When Breaking Israel News spoke to Laurie Cardoza-Moore, founder of Proclaim Justice to the Nations (PJTN), she was in a fiery mood. "In a really busy week," she remarked, "we will maybe send out four calls-to-action emails; last Monday alone, I sent out six." That was the main thread of our lengthy and detailed conversation, the return and growth of the scourge of antisemitism in American life; in schools, on college campuses and yes, even in the church. The emails that Cardoza-Moore sent last Monday were related to the following; Women's March leader Tamika Mallory refusing to condemn Nation of Islam leader Louis Farrakhan (and this even before she'd taken the stage with another rabid antisemite Linda Sarsour); the World Council of Churches training 2,000 Christians in pro-Palestinian Propaganda; the refusal of Speaker of the House Nancy Pelosi and senior Democrats refusing to censure Rashida Tlaib for her antisemitism; calling for the State Medical Board of Ohio to revoke Lara Kollab's license to practice; calling Christians in Newton, Mass to condemn "blood libel" posters and the rise of the "new" antisemitism of the Left. For an organization that works to battle antisemitism, it was certainly a busy few days. In Cardoza-Moore's assessment the reappearance and seemingly widespread acceptance of open antisemitism (predominantly in the US, but the same holds true of Europe and elsewhere also) should be a "wake-up call to both Christians and Jews." She said that PJTN's mission was to "educate Christians around the world to stand with Jewish people to counter antisemitism." And she is under no illusion about the scale of the task. She stated that if one had mentioned to her in 2005, for example, that in 2019 we'd see antisemitism as commonplace, she would have not thought it possible. And yet. Cardoza-Moore questioned where the Christian leadership was in a time of desperate need. She acknowledged the fraught relationship between Christians and Jews that has existed for the best part of two millennia and is only now seeing improvement - and commented that this was all the more reason to stand up now. "Where are the Christian leaders condemning outright antisemitism?" she asked. "Why is the Church silent on this issue?" she added. "We receive emails from members all over the world, the UK, Australia and South Africa, who see not just the increase, but the seeming acceptability of espousing openly antisemitic views, and they want to know what they can do about it? The recent story highlighting the World Council of Christians (WCC) - who through its Ecumenical Accompaniment Program in Palestine and Israel - is allegedly training thousands of activists in the entirely pro-Palestinian narrative also drew her ire. "The WCC parades itself at the UN as a Christian organization, but what BIble are they using? We are reading the same Bible and in mine it says that those who bless Israel will similarly be blessed." Cardoza-Moore unambiguously calls such views "heretical." "These people, fueled by Replacement Theology, accuse the Jews of occupying their own land. Which Bible are priests and other leaders using in Bethlehem and Jerusalem?" On the seemingly miraculous return of Jewish sovereignty in the land after nearly 2,000 years, she explained that God granted it (the land) to the Jews in perpetuity. "Jews are being brought back into the land as the prophets foretold." According to Cardoza-Moore, any teaching counter to that narrative is tantamount to a preacher leading their flock astray. And worryingly, she sees such clear evidence of the violence this wreaks in the Middle East, as well as the toxic atmosphere on college campuses and increasingly in schools. "I see the impact of growing hatred." Breaking Israel News asked Cardoza-Moore what, in her assessment, was the reticence of leaders to actually lead. "The West used to be governed by Judeo-Chrisitan values," she said. "Christian leaders have condemned me for what I've had to say - they don't have the courage to be able to stand up and call out lies and deception." This also includes non-Christian leaders who refuse, despite evidence to the contrary to suggest they should not - to call wrongdoers out and condemn them. "Leaders are afraid of losing money and/or contributions - instead of speaking truth - thank God for women leaders. If the men won't lead the women will fill the gap - God-forbid it'll need to be that way," she maintained. The central theme of Breaking Israel News' discussion with Cardoza-Moore was that there needs to be a return to basics, a return to the Bible, a return to a full acknowledgment of Christianity's Jewish roots. "Replacement Theology is rearing its head with ugly lies. 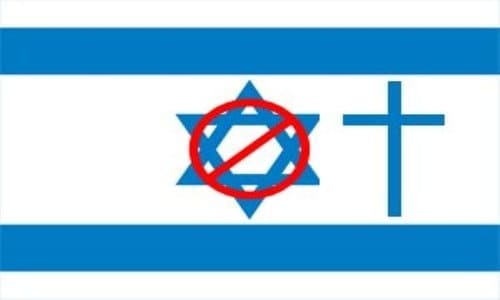 God did not replace Israel with Christians. The Bible is for and about Israel. According to the divine plan, God said that He would scatter the Jews, but He promised to also return them." She is firmly of the belief that every person - whether they realize it or not - has a divine mission and that each of us is endowed with unique gifts to carry it out. She sees this generation's struggle as one where we need to stand up and rise to defend Torah values. This message of unique purpose resonates especially with young people, to whom Cardoza-Moore regularly speaks. She is often struck by how so many of America's youth seems to suffer from the effects of cultural brainwashing and are "beaten down with the same false information and condemnation." "I remind them that there is a story among the noise that they are not hearing. We have to bring these kids truth - we cannot be intimidated by people who will condemn us; they have no basis to which they stand on." For Cardoza-Moore, the prescription for beginning to turn the tide against both general and Christian antisemitism is an appeal to the heart - although she is certainly under no illusions about how difficult the challenge is. She used her own experiences - and disappointments - after she felt that she was being called to her unique mission - to explain. She was consistently rebuffed by the pastors to whom she turned for guidance and realized that her approach could be tweaked. "I decided to present a message of fate to people of faith in their own homes. We have to harness the power of people of faith and understand that without it, they will make non-covenantal decisions," she explained. "Christians have to study the Bible from the Hebraic not Greco-Roman mindset or viewpoint," Cardoza-Moore declared. [If people do that]... they'll miss the whole plan that God has for Israel - and to repair the world. If we can reach the masses, we see the evidence of people responding to our message." For anyone wondering how they can get involved, they can go to the PJTN website , watch their programs, become better informed and educated about this issue. We are living in the last days and each one of us will be asked; there is no excuse why Christians don't know about Jewish roots of Christian faith nor use the excuse that 'we didn't know,'" she concluded. Originally published at Breaking Israel News - reposted with permission.